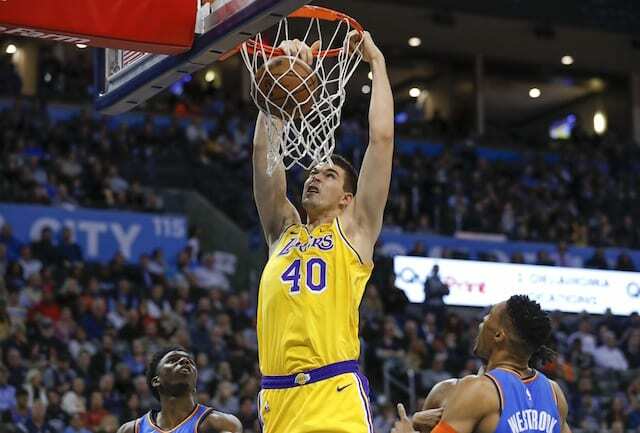 Josh Hart and Ivica Zubac led a charge off the bench that flipped the game and Lonzo Ball and Kyle Kuzma took over late as the Los Angeles Lakers earned a 138-128 overtime win against the Oklahoma City Thunder to begin a difficult stretch on a positive note. 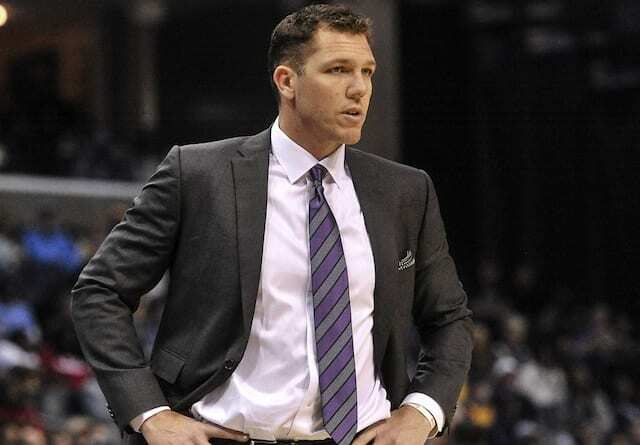 Pleased with the defensive effort and intensity he saw from Kentavious Caldwell-Pope and Tyson Chandler as starters, head coach Luke Walton kept with his lineup changes from the game prior. However, the Lakers quickly went into a slide after pulling to within 21-17. Kyle Kuzma drained three 3-pointers but picked up two fouls that forced him to the bench. That was followed by the Thunder ripping off an 11-0 run as they capitalized on Lakers turnovers. Oklahoma City pulled ahead by as many as 17 points and tied their season high for points in a first quarter with 39. 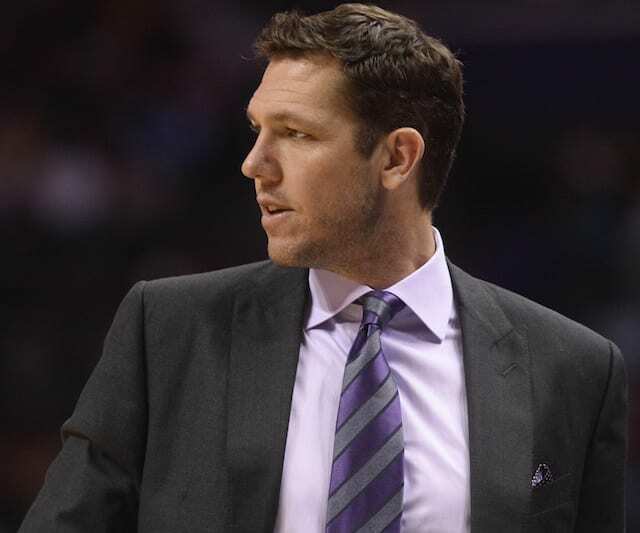 Walton made a drastic decision at the start of the second to bench each of his starters and rely on the second unit. That swung the game back in the Lakers’ favor, as the reserves opened the quarter on a 20-5 run to take their first lead. Despite the Thunder ranking last in the NBA in three-point shooting, they were hot behind the arc in the first half, led by Terrance Ferguson making 5-of-6. Oklahoma City tied a franchise record with 12 3-pointers made in a single half. 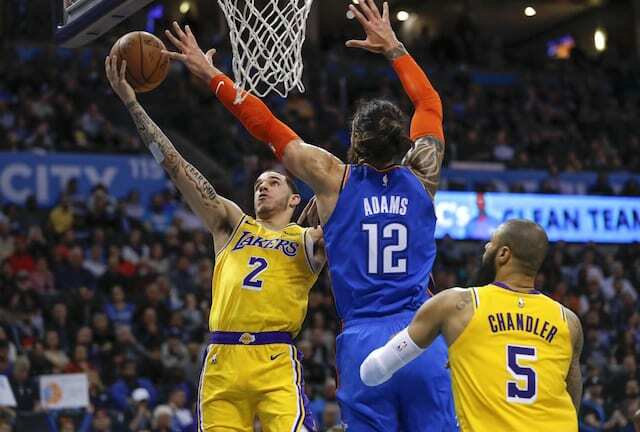 The Lakers starters were improved in the third quarter but endured a maddening stretch when they failed to box out on Oklahoma City free throw attempts. After two Russell Westbrook misses, the Thunder retained possession on Steven Adams’ offensive rebound. It led to three free throws for Ferguson, the last of which was missed and tipped out to Paul George for a 3-pointer. 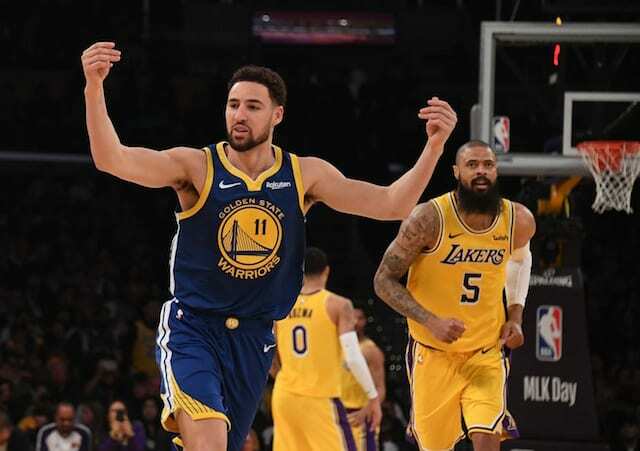 Both teams continued to shoot well, with Kuzma leading the charge for the Lakers as Brandon Ingram continued to facilitate and reached a career high with 11 assists through the third. Their offense grew stagnant at times in the fourth quarter, in large part because of Michael Beasley forcing the issue on multiple possession. Zubac’s efficiency kept the Lakers close and Sviatoslav Mykhailiuk’s 3-pointer out of a timeout gave them the lead. Kuzma’s running floater put the Lakers ahead with just over one minute remaining, and Hart’s free throws extended their lead to 122-119. But Lonzo Ball’s attempt at an intentional on Westbrook backfired as he was awarded three free throws. After Westbrook made all three, Kuzma’s potential game-winner came up just short. Ball gained some redemption with a 3-pointer to break a scoreless drought in overtime, followed by a layup to push the Lakers ahead by seven and essentially ice the game.